Enjoy a private charter flight to Guadeloupe, a group of islands in the eastern Caribbean and a French overseas department. Air Charter Advisors offers 24-hour private air charter services to luxury travelers flying private to all areas of the Caribbean. Our Guadeloupe air charters offer unlimited aircraft options for your private flight. They’ll also offer exclusive deals you won’t find anywhere else, from one-way pricing to empty leg flights. Choose from more than 10,000 charter planes ranging from turboprops and lights jets to long range business jets and VIP/luxury airliners. You’ll also enjoy the most transparent, consultative service in the private aviation industry. Our on-demand private jet charter services cater to VIP and luxury travelers around the world. Whether you’re looking for a bespoke jet charter, private jet card membership, or for more information on private aviation, contact us at info@aircharteradvisors.com, or call us directly at 1-888-987-5387. Enjoy the highest levels of safety and service on private flights to Guadeloupe with our Caribbean air charter services. Charter a private jet to Guadeloupe, a French overseas region located in the Leeward Islands, part of the Lesser Antilles in the Caribbean. Located in the heart of the islands chain, Guadeloupe is surrounded by some of the most luxurious island destinations in the world. To the north lies the islands of Montserrat, Antigua & Barbuda, St. Kitts & Nevis, St. Martin, and Anguilla. To the south, there’s Dominica, Martinique, St. Lucia, St. Vincent & the Grenadines, Barbados, and Grenada. Guadeloupe is an archipelago of nine inhabited islands, including Basse-Terre, Grande-Terre, Marie-Galante, La Desirade, Iles des Saintes, Saint-Barthélemy, Iles de la Petite Terre, and Saint-Martin (French part of the island of Saint Martin). It’s also known as the Butterfly Island, as the two core islands form the shape of a butterfly, separated by the Salée River. After your private flight to Guadeloupe arrives at Pointe-à-Pitre International, you’ll have a ton of options to explore. One of the can’t miss attractions here are the waterfalls in the jungles of Basse-Terre. Some are within short walking distance, while others require at a bit of hiking (3-4 hours). These longer you hike, the better your chances of having one of these spectacular waterfalls to yourself! Also located on Basse-Terre, you’ll find the island’s national park, Parc National de la Guadeloupe. 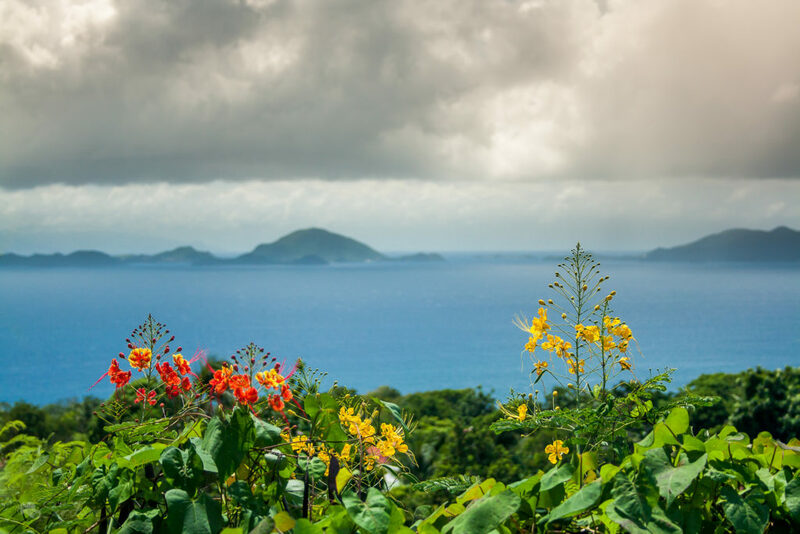 The area is part of the Guadeloupe Archipelago biosphere reserve along with the Grand Cul-de-Sac Marin Nature Reserve, home to a volcano, tropical rainforests, coastal forests, mangrove swamps, and a wide diversity of flora and fauna. Located within the park are Carbet Falls, and La Grande Soufrière, an active sulfuric volcano and the park’s highest summit. The park received international recognition in 1992 when the bulk of the park, along with the Grand Cul-de-Sac Marin Nature Reserve, were designated as an international biosphere reserve by UNESCO. Rum production is also a vital part of Guadeloupe’s economy. Depending on which time of the year you’re chartering a private flight, local distilleries will offer tours, so make sure you check for scheduled times to enjoy some local samples of their Caribbean rums. Charter any size private plane for a direct charter flight to Pointe-à-Pitre International Airport (IATA: PTP, ICAO: TFFR), the international gateway into Guadeloupe on the island of Grande-Terre. Also known as Le Raizet Airport, it’s located in the town of Abymes, just over a mile northeast of Pointe-à-Pitre. The airport is the largest of the six airports in the archipelago, and home to the 2nd longest runway in the Caribbean, behind only Jose Marti International in Havana, Cuba. This earned the airport it’s own French title, Aéroport Guadeloupe Pôle Caraïbes, or “Caribbean Hub“. Pointe-a-Pitre International Airport (TFFR, PTP) is the main hub for Air Caraïbes and Air Antilles Express, and there are two Airbus A320s based here by Air France for regional flights. Pointe-a-Pitre handles total of just over over 2 million passengers annually, ranking as the 2nd busiest airport in the Lesser Antilles after Queen Beatrix International in Aruba. 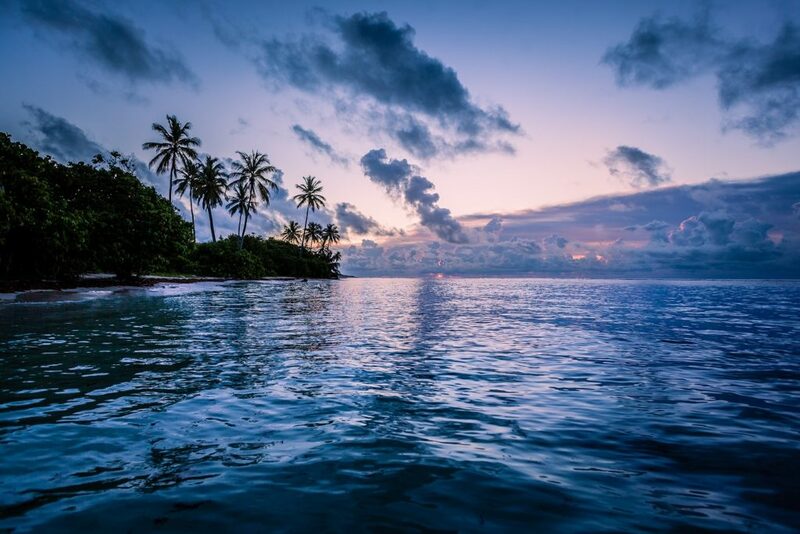 Request a Quote or give us a call at 1-888-987-5387 to speak with one of our private jet charter brokers for your next luxury vacation, business trip, or special event in Guadeloupe.